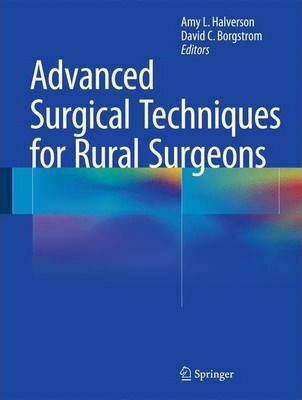 This unique reference fulfills the unmet need of a textbook that addresses the scope of practice for surgeons practicing in rural regions. The text provides up-to-date content covering a wide breadth of topics relevant to surgical care in rural areas, with focus on the surgical diseases that are often treated by surgical subspecialists in the urban setting. Written by experts in each subspecialty, the text focuses on procedural aspects of surgical patient care. The first section discusses practice issues unique to rural surgery and provides an overview of applying principles of quality improvement to surgical practice. Subsequent chapters cover specific surgical procedures. Each chapter includes a brief discussion of indications and contraindications for surgery. The surgical technique is described with attention to important anatomic details. Key portions of the procedure are highlighted including potential complications and how to avoid them. Procedure specific perioperative care is also discussed.Supported with ample illustrations and images, Advanced Surgical Techniques for Rural Surgeons is a valuable resource for surgeons currently in practice or preparing to practice in a rural area, as well as surgical technicians, surgical nurse practitioners and physician's assistants.